Before we start, let talk on how we normally move the VM from one location to another location. 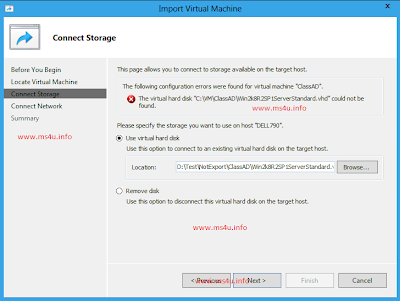 We normally use Export/Import features and no doubt that it did a good job in current Hyper-V version. In today post, this is my test result when using Import Virtual Machine feature on Windows Server Developer Preview Edition. Scenario:- For newbie, they often copy the whole VM and VHD without using Export/Import features. Guess what happen when they try to import from new host. Your Guess is correct! They will not be able to import the VM. 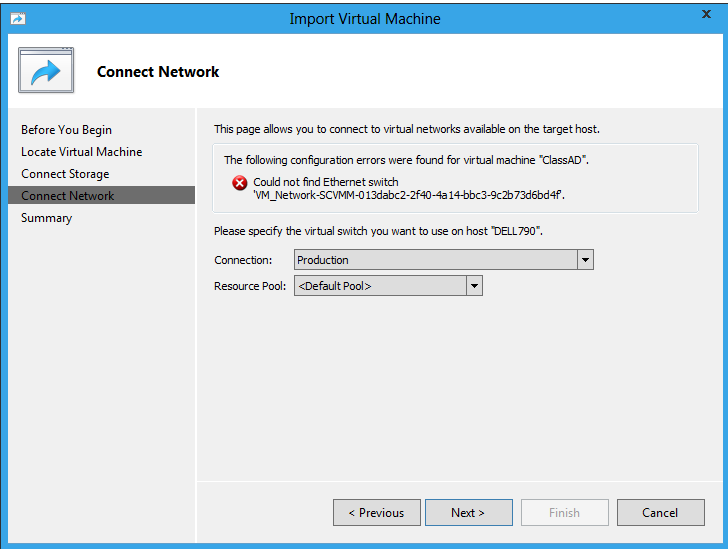 To solve this issue, all you need to do is create a new VM configuration and associate to VHD. However you will lost the entire previous VM configuration and also IP address setting. 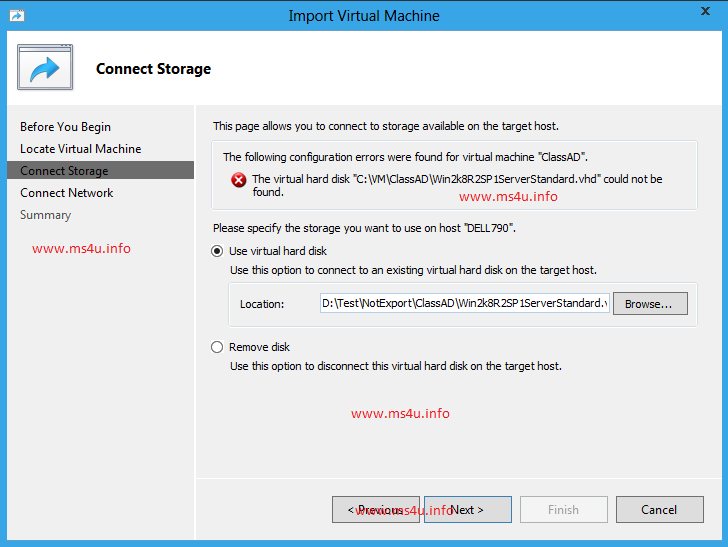 In Windows Server Developer Preview Edition, you can solve this problem by using Import Virtual Machine feature. 3.First, it detected the location of VHD is incorrect and allow you to specify the new location of VHD is located. 4. Next, it detected the previous Virtual Switch use. You can specify the new Virtual Switch. 5. Once you have specify step1 – 4, you will be able to see the VM has successfully imported to Windows Server Developer Edition. To make sure it is working, i have start the VM and verify the VM configuration and IP address retain the same setting as previous. This enhancement is quite useful and come in handy especially Hyper-V Host has problem and you can't export the VM. Now, all you need to do is copy VM configuration and VHD to Windows Server Developer Preview Edition. 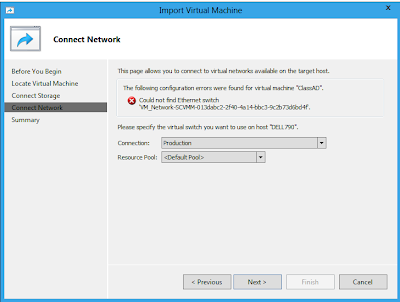 Use Import Virtual Machine feature and the entire problem solved.